The electronics department is involved in R&D projects. These developments allow to anticipate the future detectors or the future readout and acquisition systems. In collaboration with the mechanics department, the electronics department designed and produced micromegas chambers that have very good results. 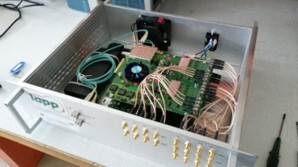 For this detector, the department designed the full powering system, the channels readout, the dedicated FPGA firmwares and the calibration & test bench. Since 2014, the team studies resistive anode chambers that allow to resist to breakdowns, a simplier manufacturing and a lower cost. The 1m² prototypes had very good results. 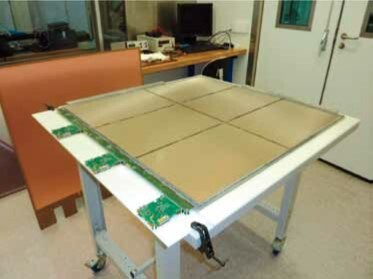 Since 2006, the electronics department has participated tho the R&D efforts for the CTF3 acquisition system. CTF3 is the CLIC prototype at CERN. 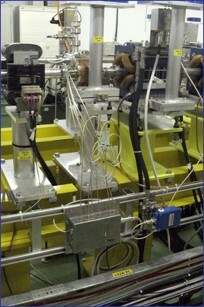 The staff produced two successive versions for the future CLIC module readout and data acquisition system. These systems perform the preamplification, the shaping and the digitization of the signals from the different generations of BPMs, the beam position monitors. The final installed version allows a deterministic acquisition and synchronously with the accelerator. The electronics department supports the LAViSta group, particularly on electronics systems for measurement and qualification of the developed sensors. The department developped a preamplification & readout system for these sensors. The measurement principle is based on capacitive electrodes modulation-demodulation.